2017 has been an amazing year in independent wrestling. Half way through the year, Billy Corgan has assumed control of the NWA, Jeff Jarrett’s Global Force has overtaken Impact, and NJPW has begun its conquest of America. It’s been a spectacular year at all levels of independent wrestling. Here are a few names and faces you need to be watching as we enter the second half of the year. 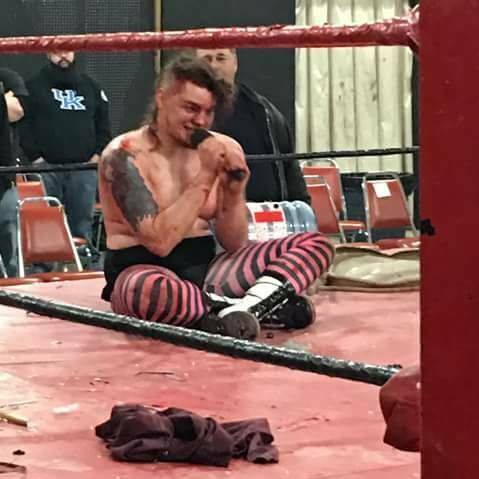 Nick Depp began the year by winning The Prince of the Deathmatches – and promptly found himself on the sidelines nursing an injury. The temporary set back hasn’t slowed him down a bit. “The Sports Entertainer” is expanding his territory and gaining new ground not only due to his in-ring work, but his skills on the mic. Depp cuts an amazing promo as a face but especially as a heel. His mouth is going to take him far. “The Real Ben Affleck” is the talk of the independent wrestling podcasts, and with good reason. Take away the Ben Affleck gimmick, he is one of the brightest and most talented workers in the Midwest. One observer told me privately he thinks Daniels will be in Ring of Honor in just a few years. The Ohio native is expanding his territory as well, and it’s only a matter of time before he gets his big break. Mickie is no rookie. She’s been around for 17 years, breaking ground the WWE’s women are only now beginning to tread. Mickie has caught fire in 2017. She headlined a spectacular main event in Ft. Wayne covered in my blog back in April for Girl Fight. She and Randi West stirred controversy in Southern Indiana with a brutal falls count anywhere match. To top it all off, she just won the OVW Women’s Championship. This is Mickie’s year, and no one can stop her. A Canadian transplant working out of Louisville, Kentucky, Amazing Maria is one of the most under-rated women in the women’s scene. Her skills in the ring are solid, and her character work as a heel improve with every outing. Whether she’s on her own, paired with Samantha Heights, or partnered with Horrorshow manager Jason Saint, Amazing Maria is a stand out on every show. I’ve been a fan of the Crist brothers, Dave and Jake, ever since they yanked the tag titles away from Aaron Williams and Ron Mathis at D1W a few years ago. Not only have they become regulars at IWA Mid-South, they’re making appearances for PWG in Los Angeles. Dave Crist has had an exceptional year, despite some injuries, having won the IWA Mid-South Championship and CZW’s Best of the Best 2017. A fellow wrestler told me he doesn’t think they’ll be exclusive to the Midwest for long. I couldn’t agree more. The tag team of Thomas Brewington and Eric Emanon is starting to make deep inroads in the South and the Midwest. 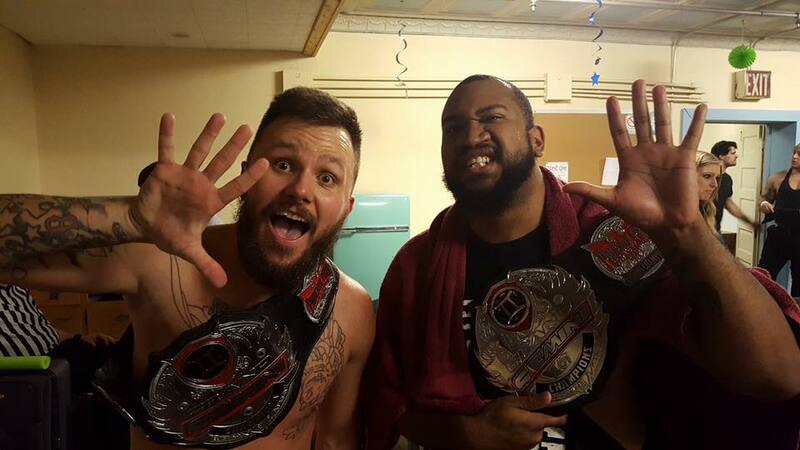 They put the southern territories on notice a few weeks ago when they invaded Atlanta’s AWE and shocked everyone by earning a victory over the red hot Carnies (another must see tag team, I might add). “Do we have your attention now?” Emanon asked on Facebook. Yes, sir, you do. Mr. Grim is something special. His combination of speed, power, and high-flying make him a must-see attraction, but that’s not the reason you want to see this man live. You want to know what’s in the briefcase. You want to see what happens when the Hitman for Hire claims a victim. Grim is coming, and he’s headed your way sooner than you think. Kong has already made the leap from indy darling to TV star, and his star’s about to get brighter. 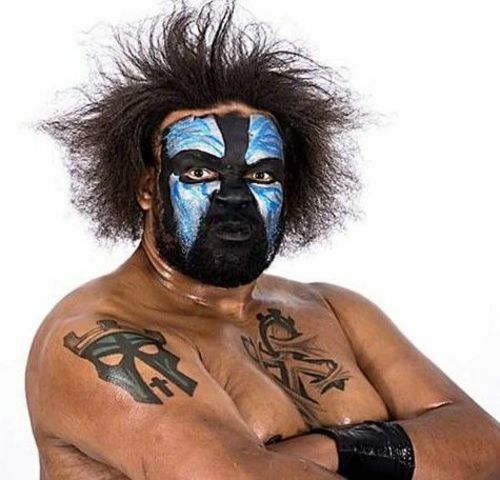 Kongo Kong was one of Jeff Jarrett’s early signees for Global Force Wrestling. Now, with GFW taking over and Jarrett firmly in control, there is no stopping the big man. Please note: This is by no means a comprehensive list of the up and coming rising stars in independent wrestling. If you have a favorite you want to add to this list, please comment below. 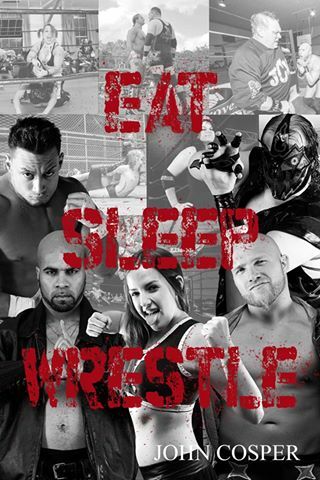 Let’s let the casual wrestling fans of the world know why they need to tune in to independent wrestling. Nick Depp is Prince of the Deathmatch! Saturday night, Nick Depp made a statement at IWA Mid-South. 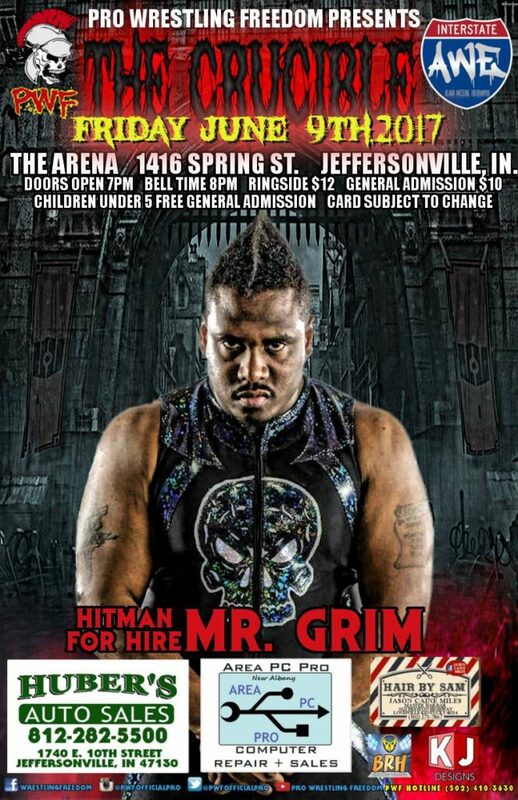 Before a packed, standing room only crowd in Memphis, Indiana, the young wrestler staked his place in the legendary promotion’s history by becoming the 2017 Prince of the Deathmatch. Depp’s coronation is the result of a lot of hard work and a dream he began pursuing back in 2011. The Livermore, Kentucky native started training with the Waddell brothers in WWA. “My first job in the wrestling business was as the ring announcer. I was horrible.” Depp’s inability to get anyone’s name right was embarrassing, but the promoters turned it into his first angle, when wrestlers came after him for the messing up their names. 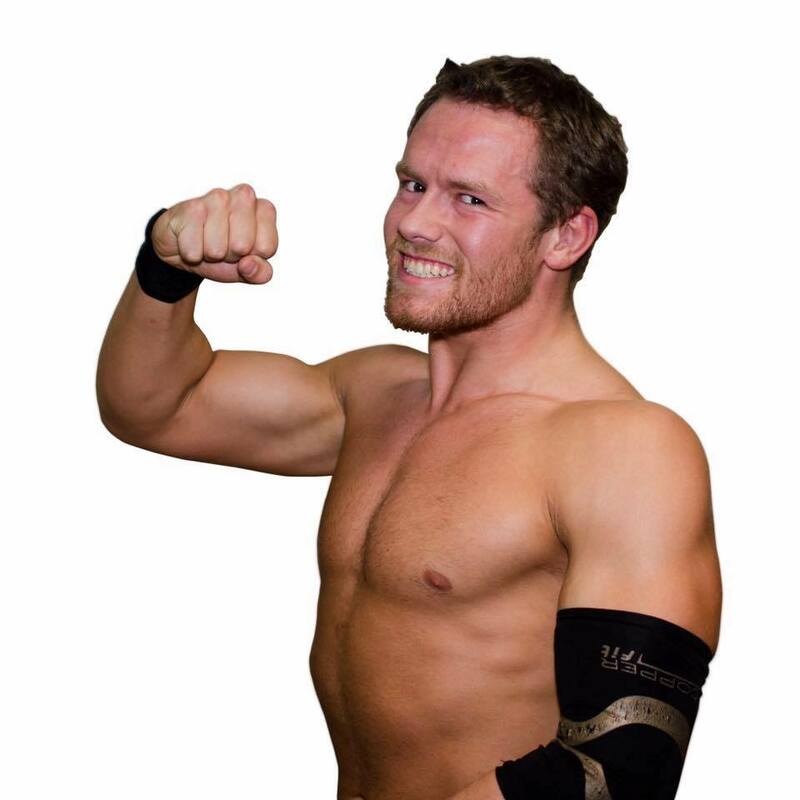 In 2014 he left SWE and headed for IWA Mid-South. Depp caught the eye of Nick Maniwa and Reed Bentley, who spoke up for him and got him a shot at IWA-MS’s tryout show against Juan Hado and Alex Rudolph. The match earned Depp a roster spot and the chance to train with Ian Rotten. I asked Depp what his goal was for 2017, now that he is deathmatch royalty. His answer was simple. “Always looking to improve, and also looking to be the best I can be.” With an attitude like that, Depp is likely to make an even greater impact on the business in the future.